MOSCOW (Sputnik) - Japan is currently focused on a trade agreement with the European Union, rather than on a similar agreement with the United Kingdom after its planned withdrawal from the bloc, Japanese Minister for Public Diplomacy and Media, Shinichi Iida, said in an interview. "Frankly, our first and foremost priority at the moment is the early effectuation of the Japan-EU economic partnership agreement. Having said that though, once the Japan-EU economic partnership agreement comes into force, it could provide a very good and sound basis for the future trade between Japan and UK," Iida told the Independent newspaper. The minister noted that the discussion of trade with London is conducted at the level of senior officials, but the agreement could not be concluded until the United Kingdom withdrew from the European Union. 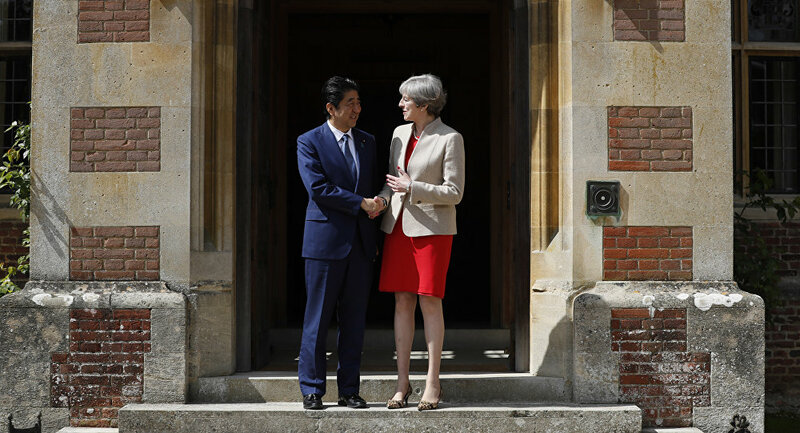 Iida noted that Japan would prefer the United Kingdom "to be part of the single market," but UK Prime Minister Theresa May "was very clear" with her position on this issue, stating that Brexit presumes withdrawal from the single market. On June 23, 2016, the United Kingdom voted in a referendum to leave the European Union. The negotiations between the United Kingdom and Brussels started in June and are due to be completed by the end of March 2019. Immediately thereafter, on March 30, 2019, the transitional period will begin. It will last until December 31, 2020.